Last week I joined my fellow farm writers and communicators for the annual Manitoba Farm Writers and Broadcasters Association (MFWBA) tour. We visited the National Centre for Livestock and the Environment (NCLE) near Glenlea, Man. We went on a field tour where we learned about Whole-systems field-based research and the Watershed systems research program. This was followed by a farm tour where we learned about feed and feed processing; manure management and other by-products processing; manure – value-added treatment and processing; cattle – forage production systems; and swine production systems. 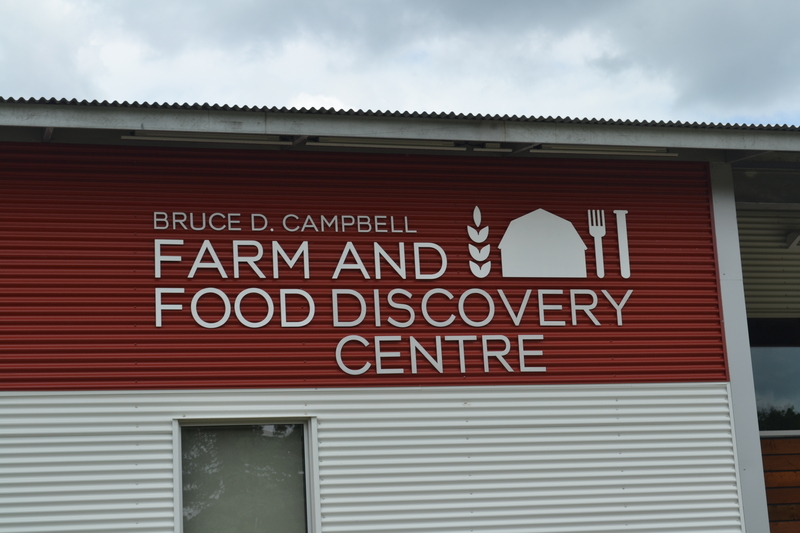 We then got a sneak peek of the new Bruce D. Campbell Farm and Food Discovery Centre (FFDC), which opens its doors to the public next week. Both the NCLE and the FFDC are opportunities to connect the public with modern agriculture. The FFDC features interactive displays that people of all ages will enjoy. I encourage everyone to visit the educational centre. The following are some photos from the FFDC. The Bruce D. Campbell Farm and Food Discovery Centre. 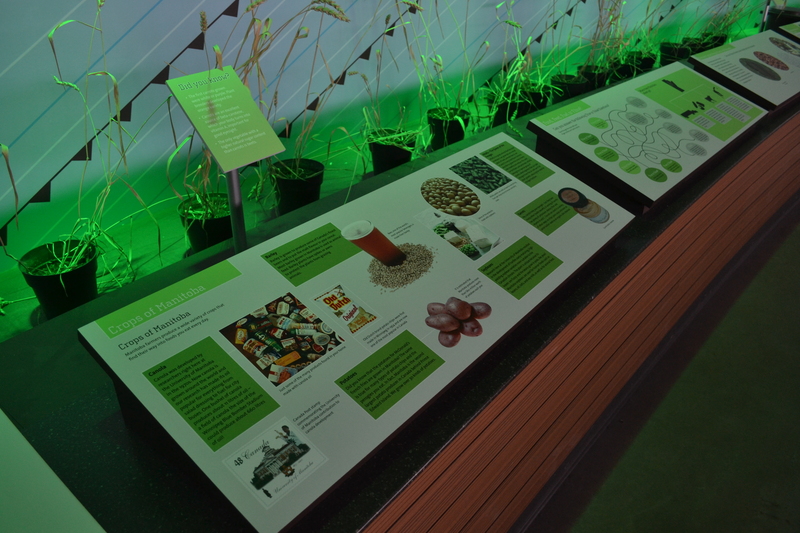 Part of a display in the Farm and Food Discovery Centre. 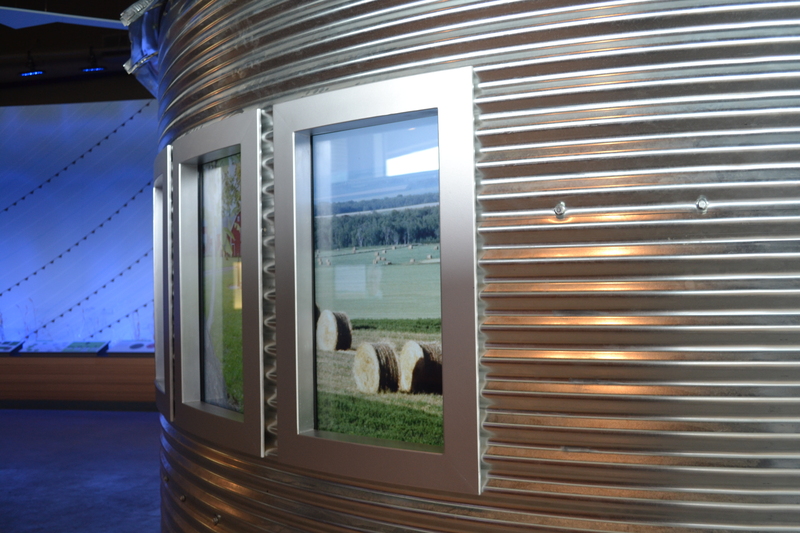 A grain bin with rotating farm images at the Farm and Food Discovery Centre. 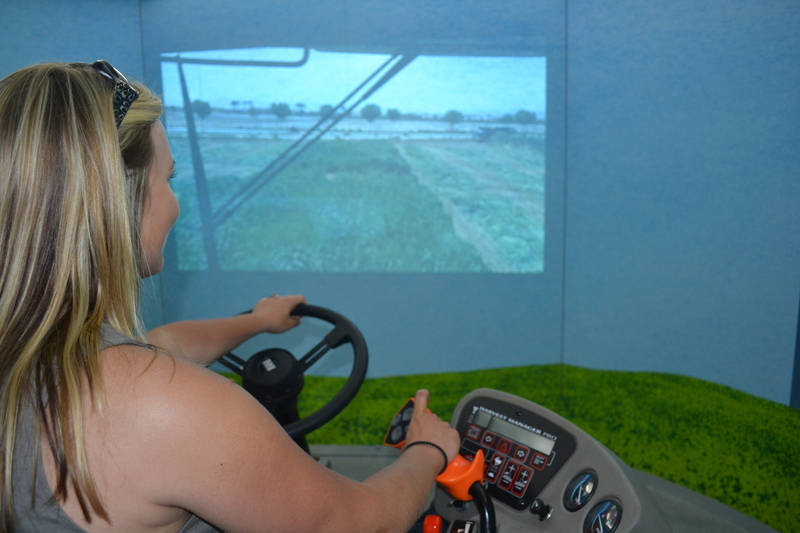 Karli Reimer "driving" a tractor at the Farm and Food Discovery Centre (tractor simulator). 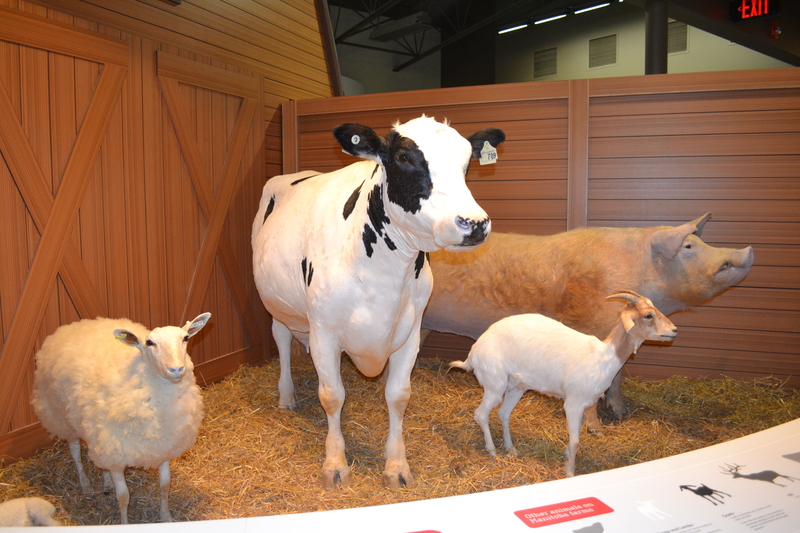 Life-sized farm animal display at the Farm and Food Discovery Centre. 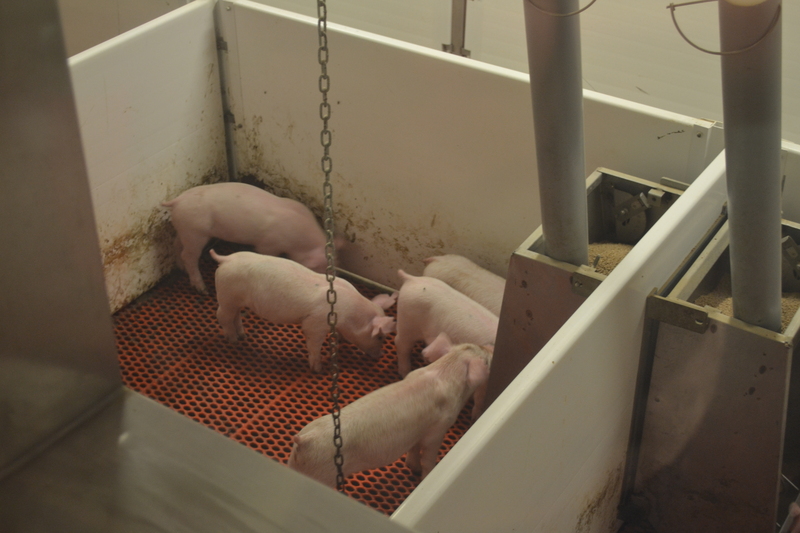 Piglets in the Farm and Food Discovery Centre, which contains viewing galleries of a hog operation. 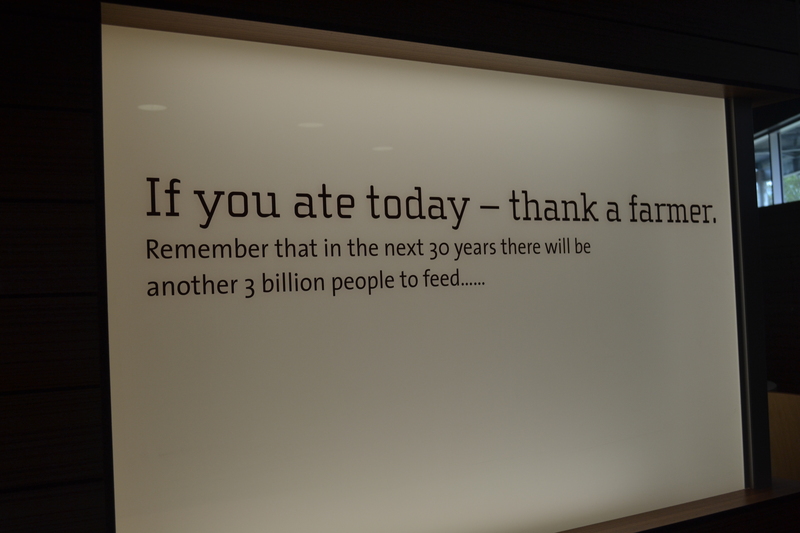 A sign in the Farm and Food Discovery Centre. Farmers produce the food that feeds the world. Remember, if you ate today, thank a farmer.